Leslie was dubbed a "zombie" hurricane as it first formed on September 23, only to meander through the Atlantic Ocean for weeks. LISBON: Storms packing nearly 180 kilometres-per-hour winds hit Portugal early Sunday leaving hundreds of thousands of people without power before carrying heavy rain on into Spain, authorities said. The region around capital Lisbon and the centre of the country at Leiria and Coimbra were worst hit with trees uprooted, cars and houses damaged and local flooding reported. With electricity down, dozens of people also left their homes and fled to safety. There were fears it could be the worst storm to hit the region in more than 150 years, but it weakened before reaching the Portuguese coastline in the early hours of Sunday. 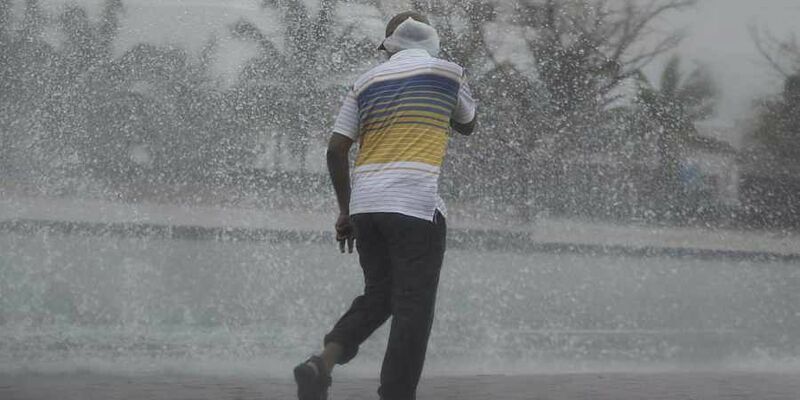 "It's a post-tropical storm now and is already in the far north of the country," meteorological institute head Jorge Miranda told the Lusa news agency. "It's still raining but the situation will quickly return to normal," he added. Portuguese authorities had urged those living by the coast to batten down and stay indoors amid warnings of high winds which reached 176 kilometres per hour (110 miles per hour). "I have never seen anything like it," one witness told SIC television in Figueira da Foz, 200 km (120 miles) north of Lisbon. "The town seemed to be in a state of war with cars smashed by fallen trees," he said. "People were very worried." Maritime authorities advised fishermen at sea to return to the nearest port and Portugal's TAP airline cancelled seven flights to and from Lisbon. Only five hurricanes have ever arrived in this region of the Atlantic Ocean, and it had been feared Leslie could turn out to be the most powerful storm to hit Portugal since 1842. Spain's civil protection agency said the storms could still be "very strong locally" and that heavy rain was forecast for the north and east.